The highly anticipated Dangote tomato paste factory, located in Kano, northern Nigeria, has commenced operations in an attempt to curb the import of tomato pastes into the Nigerian market. The $20 million facility, which is the size of 10 football pitches set within 17,000 hectares of irrigated fields, will directly employ 120 people. It is also expected to produce about 430,000 tons of tomato pastes annually, which is a significant ingredient in most local Nigerian dishes such as Jollof rice, stew and many soups. This plant will help save tons of tomatoes from rotting away in the Nigerian market. According to the country’s Ministry of Agriculture, Nigeria produces about 1.5 million tons of tomatoes a year, but over 900,000 tons is lost to rot. This is obviously a huge sigh of relief for farmers in Northern Nigeria where this crop is grown the most. 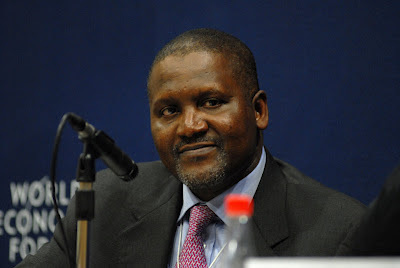 However, the Dangote Group, owned by Africa’s richest man, has said that the company will buy tomatoes from farmers who grow this crop in large quantities. This is because the factory requires a huge supply of tomatoes to be functional. Still, the start of Dangote’s tomato paste factory raises several questions like whether commencing operations will beat imported pastes out of the market or if Dangote will be able to slash the cost of his tomatoes looking at how he slashed the price of cement across Nigeria? Nigeria is the 14th largest producer of tomatoes in the world. It is the eighth largest importer of tomato paste in the world after Iraq and Japan. The country has a significant demand for processed tomatoes but almost half of the tomato pastes found in its markets have been imported from China and Italy. Last year, the Director General and CEO of the Raw Material and Research and Development Council (RMRDC), Dr. Hussaini Ibrahim, revealed that Nigeria spends about $1.5 billion annually on tomato product-importation from China and other parts of the world. Erisco tomato paste known as Nagiko is the first tomato paste to be made in Nigeria.